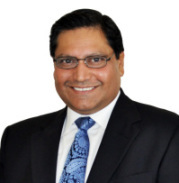 The World Affairs Council of Austin’s Central Texas International Business Coalition’s networking agenda will include a presentation on cybersecurity and its impact on global business operations by Umesh Verma, CEO, Blue Lance. Privacy & Cybersecurity are top concerns in today’s boardrooms — with good reason. Regulations have proliferated, cyberattacks are commonplace, and companies are being fined millions of dollars for poor data handling practices. As a global provider of cybersecurity governance solutions, Blue Lance helps companies with the safekeeping of digitally managed assets by continuously assessing, remediating, and monitoring the security of their information systems. The discussion will explore unanticipated threats to your company’s operations and offer solutions for you to consider and implement.